Today's topic is going to be super long but (hopefully) really helpful: How to Work with Brands! After a couple of years under my belt and a ton of collaborations, I think I have some good advice and tips to share on the subject. I hope you enjoy!! 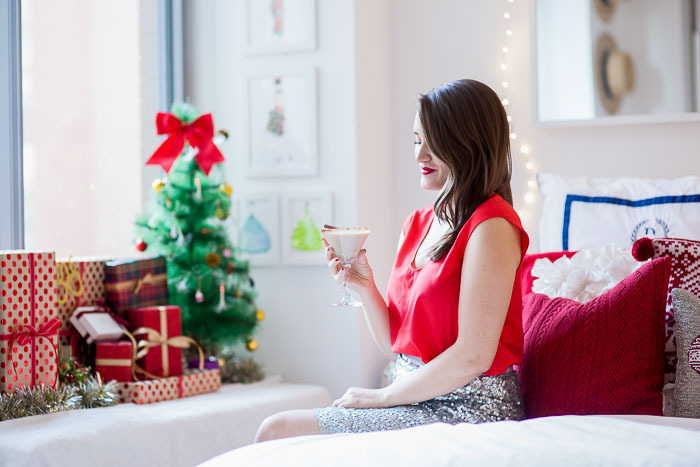 One of the great things that has come from my blogging experience (and one I’ll look back on fondly) is the ability to work with brands I love. It’s so crazy how much the landscape has changed with blogging and social media coming into the picture because before any of this, you had to actually be famous to work with brands. So it’s really cool we’re all able to do this for a living now! I’ve made some close friends by collaborating with different brands. It’s awesome to have that sort of connection with companies you really care about! But with all that being said, I didn’t start working with brands for a while after I started blogging. In all honesty, there are brands I would love to work with but am not big enough for. I'm still told "no" occasionally! I tell girls this all the time, but don’t start a blog with the intentions of working with brands and getting free stuff. That's not how it works and it’s a lot of hard work to get to that point. So when working with brands, there are two ways for it to happen that I’ll discuss in detail below: reaching out to brands proactively or having brands reach out to you (directly or via networks). Let’s talk about it. 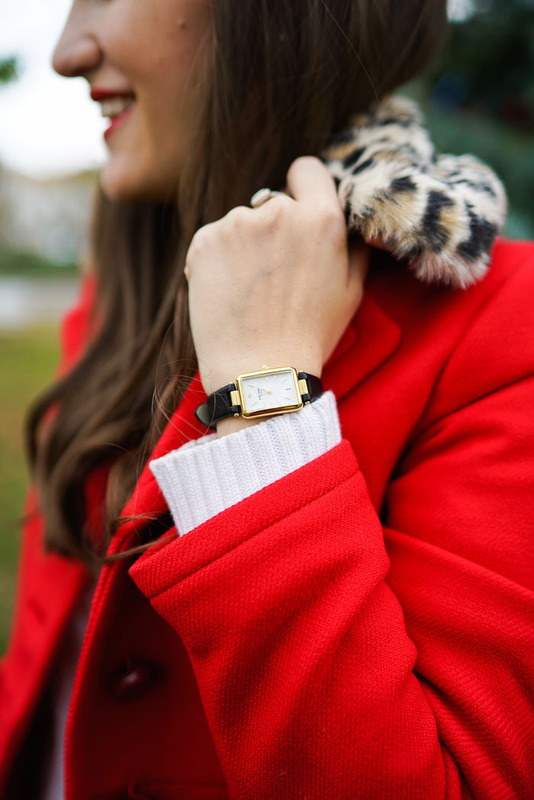 Collaboration with Henri Bendel You Contact Them: This is obviously the more taboo of the two but I don't understand why more bloggers don't do this. I reach out to brands all the time to work together. I will be shopping and come across a brand I really like. Once I do a little more research to see if it's something my readers will like, I'll reach out. Just like there are a lot of brands you might not know about, there are also a lot of bloggers brands don't know about. It's mutually beneficial and a great way to build a relationship with a brand. I can't tell you how many brands I originally reached out to that are now some of my closest partners. How to Go About Reaching Out: I'd like to think I've mastered the skill of reaching out to brands since I do it a lot. Start with finding a direct email or contact. These are usually under their "contact" or "press" pages on their site. Finding the right person to cold email will help cut down the process time. I always try and email someone directly rather than filling out forms, not sure why but I just think it's more personal this way! Once you have an email address, it's time to draft an email. There are some very important steps in crating an email like this so read below! 1. Introduce yourself (who you are and what you do): most emails go, "I'm Krista from Covering the Bases, a fashion and travel blog based in New York City." Straight and to the point so they're aware of who I am, what my blog is, what it covers and where I live. 2. State your reason for emailing: "I'm reaching out today because....." or "I'm reaching out in hopes to...." are usually good places to start. You want to be direct and to the point as not waste their time. But of course direct doesn't mean rude. Make sure your language is always very open and inviting. 3. Tell them why you like their brand and why you think it's a good fit: This is where you need to be detailed and personal. Tell them what you love about their dresses or how your followers react when you feature them. Mention the first time buying from the brand or good memories you have with them. Make it personal! Convey to them that you care and show them that you're a loyal brand representative. 4. Send them examples: When working with a brand I truly love, I always make sure to send over old blog links to posts where I feature their clothing. It shows that I truly am a fan of their brand, collaborations or not. 5. Tell them what you can do for them: Here is where I tell a brand what I can offer in exchange for collaborating and about my blogging skills. For example, when working with hotels I can promise them a blog post/review, Instagram photos with the geo-location on and @mention in the caption. Here is where you need to evaluate, think strategically but don't oversell. Maybe they are pushing for more Instagram followers and you can offer them a takeover; things along those lines! 6. Share social and blog numbers: For bigger or more established brands, I usually send over my media kit for them to review when deciding when to work with me or not. It tells them a little more about me, my blog and my reach/influence. It also references old partnerships for them to review and look over my work. For brands I don't send my media kit to right away, I always put, "If you'd like more information on my blog, I'd be happy to send over my media kit with blog and social statistics for you to review!" That way if they're interested but want to know more, they can! 7. Wrap it up: Thank them for their time, tell them you look forward to talking more soon, have a great day, etc. And leave your information at the bottom (I have direct links to my blog, my TW and my IG as my signature). What's Next: Waiting game. Some brands will get back to you right away, some will take a week or two, some you need to follow up with, others will never get back to you and there are some who will say no. All of these are OK! Because if nothing else, you're on their radar now. Collaboration with HauteLook ----- Funny story about one of my biggest running brand collaborations (that should hopefully make you feel better). I had been dying to work with this one brand that I loved and I mean loved. It was in 2013 and the blog was much smaller but I knew my readers had a strong desire for this brand. I thought of a great series collaboration idea with me and a fellow blogger and wrote out this whole big pitch to them. It was well thought out, detailed and didn't ask for much. I had the right email and I was feeling super confident. That was until I got an email back within the hour with a very kind "no." I was sad, but not devastated because they were a big brand and I understood (my love was unconditional). A few months later I was at a random brand press preview in Flatiron. I was having a great conversation with a PR contact and we were talking about his other clients. He mentioned casually that this one brand (THE brand I had reached out to) was actually hosting their press preview at the same time one floor upstairs. Trying to contain my excitement, I asked if they could introduce me and stop by the showroom. Which they did and I was in heaven. I loved it and I was first introduced to the very person who told me "no" just a few months before. We started talking and I mentioned that they actually re-pinned a couple of my blog photos wearing their items and she was in shock it was me. I think she loved me right away. We started talking more about what I do and how her company is a sponsor for baseball. The conversation went on and it only got better. I even felt comfortable enough to tell her it was me who sent that email not too long ago. She remembered right away and said it was a great idea and how she loved my email but has a strict policy to not gift these particular items because they can't keep them on the shelf as it is. It totally made sense and it actually made me feel a lot better. It made me realize she wasn't actually saying no to me. Long story made longer, we see each other every time she's in the city, and we work together closely almost every month. I even follow her on all social platforms. They are still to this day my favorite brand and I'm thankful everyday I'm able to work with them! Moral of this story being that even when a brand says no, it's not a forever thing. Things tend to work out the way they're supposed to and without sending this email and taking a leap of faith, we may never have had the chance to work together like we do now. Emailing brands can only help your blog and your business! ----- Whew! So that's pretty much the gist of how you reach out to brands and how to work with them in that sense. Next comes the other end of the spectrum on what happens if they contact YOU. Of course the things below also (very much so) need to be applied to when you reach out first. Collaboration with Absolut They Contact You: It's always super flattering when a brand (or PR agency) reaches out to you. That's how you know they've researched and selected YOU to work with and represent their brand. It's an exciting feeling but one also that needs to be taken seriously and in a proper way! Sharing my tips below of what to do when a bran reaches out! 1. Read the email: Might seem silly but a lot of times people just skim it over and are not truly aware of what they want or what they're asking for. This is an important first step! 2. Research/review the brand: If it's someone you've heard of before, great! If they're new, make sure to research them, explore their website, check out their social, etc. You want to get a good feel for the brand because you want to... 3. Make sure it's a right fit for your blog: Readers can see right through your posts when they know it's off brand for you. Like if I were to blog about baby items, it would seem a little weird. Stay true to yourself. If it's not a fit, say no! 4. Review the details of the collaboration: You want to make sure you're going about this the right way. If they want a YouTube video and you haven't put one up in five years, it might not be the best fit. Here is where you can offer alternatives or better ideas for them to maximize their goals while going about it in a more natural way. You also want to make sure it's mutually beneficial, that you're being compensated appropriately and that it's doable. 5. Manage expectations: With traveling and work consuming a lot of my time and weekends, it's good to set expectations up front. Let brands know if you'll be out of town or that you have content booked until whatever date. The more they know the better because if you're up front about it now they'll understand when a post may be going live later than proposed. 6. Reply in a timely manner: This goes for just about any email, but brands are more than likely working on other collaborations. Responding in a timely manner only helps their job become easier. When it's easier, it's more fun and when it's more fun they like you better! It's a win win. 7. Be polite: (duh) This is a hard and fast rule always and forever. Be polite! It's easy to do and it will make people like you better. Even if you're saying no or have to pass on an opportunity, being polite helps things end amicably. How to Say No: I get a lot of sales and promotional pitches throughout the day and about 80% of them don't fit my brand for one reason or another. So I've gotten pretty good at saying no (even when there is money involved). It's hard to say no sometimes, but it will get easier! When saying no to a brand, I always make sure to thank them for thinking of me and tell them that it's just not the right fit for me at that time. There's also the yes-but-not-right-now reply as well. I remember I had some brands reach out to me in January about summer clothes and with no major warm weather trips coming up I told them I would love to but can't at the moment because I legitimately couldn't. Brands will understand (trust me) and appreciate you being honest. This goes back to again managing expectations and being polite! After You've Said Yes: Saying yes is the easy part! Now it's time to stick to your word, follow through and show them why working with you is not only easy and fun but also that you value the relationship and hope for it to keep progressing in the future. 1. Follow up and keep them informed: Brands love to be informed so keep them in the loop. Let them know when you've received the product, when you're planning on shooting, what day you will launch, when social promotion will follow ... everything! Follow up with links and updates. It will make their life a lot easier and make you seem super professional. 2. Stick to deadlines: We all set deadlines for a reason, so stick to them. When discussing deadlines also be sure to make sure it works for you. Don't promise something on a Thursday that you can't even shoot until Saturday. 3. Go above and beyond: Just like in normal 9-5 work places, going above and beyond in your job will get you more places. It shows you're ambitious, shows you care and that you value your collaboration. ----- I *think* that's about it. WHEW that was so long! But I really hope it's helpful. I wish someone had told me all about this when I started. If you want to know more or have any follow up questions, I'll be answering them below! Check out the other posts in the blogging better series HERE! Hi Krista! I'm not a blogger myself although I follow several and I have to see you are hands down the most genuine. I really appreciate the insight, a lot of bloggers are very tight lipped and even worse "put on a show." You being so open and honest is very refreshing and makes your blog one of my favorite daily reads. Thank you for your hard work, your quality of content does not go unnoticed. This is a fantastic post, Krista! Great reminders for those of us who've been at it a while, and great advice for newer bloggers! I'm also not a blogger, but I somehow found myself reading this entire post because I found it insightful and genuine. I think the advice you provided can carry into so many professions, not just blogging. I agree with anonymous above that you're one of my favorite bloggers because you keep it real, make an effort to share your hard work/what you've learned (you're not selfish), elevate others, and it's clear that you have a good spirit/ethic. Thanks so much for being there for all of us and providing such a wide spectrum of content! Thank you for sharing so many great tips. 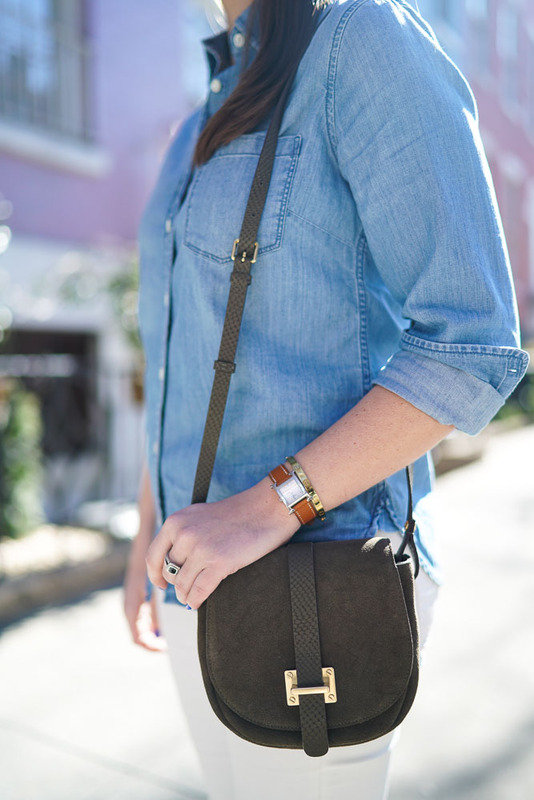 I am always curious to know how other bloggers find ways to collaborate with brands they love. I recently decided to reach out to a couple of brands and was very pleased to learn they would like to work with me. But I have had a few that have turned me down and it definitely hurts a bit. I loved reading your anecdote on the brand that said no to you but then you found out why later on. Makes me realize we have to keep trying and not let a little no hold you back. Super helpful tips! Thanks so much for this — I really appreciate it. So many helpful tips! This type of post is how I originally found your site :) Keep them comin'. Thanks so much for sharing this, Krista! I have been trying to work with more companies and this is so helpful! I love this series, and I can tell how much work you're putting into giving tons of real information, which I appreciate. I'd love to see a post on your media kit - what do you put in it, etc?!! Krista, Thank you so much for sharing this series. It has been extremely helpful as my sister and I go through the growing pains of being beginner bloggers. I second Bri's question about your media kit--what all goes into this? I'm working on developing our's right now and always love to see successful examples. Thanks so much for this post. At first I accepted any company that reach out to my blog, but then found out that I can't seem to make it, because I don't feel the passion while writing the post, so I started thinking about the deal first and then decide yes or no. Loved this post, such honest and helpful tips! Are you thinking of doing a blogging better series post on how to create a media kit? I would love to know how you put yours together and what kind of info goes into one! What great tips! Thank you so much for offering your insight. It's truly appreciate for us blogger newbies. 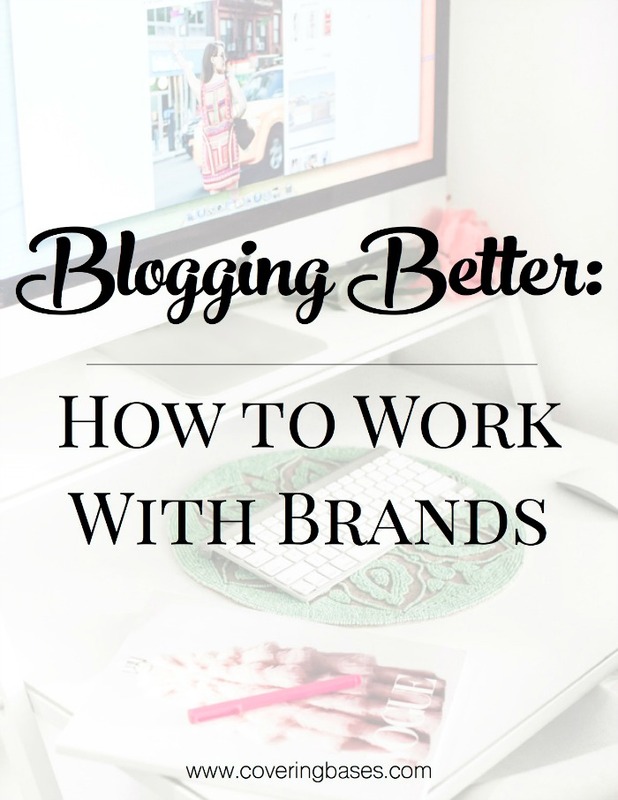 Krista, Thank you so much for this post, and for your entire Blogging Better series! Your tips and insights are so helpful. I echo the readers above who suggested a Blogging Better post on creating a media kit! Loving this series, Krista! Thank you! Quick question: will you do a post on creating a media kit? I love these tips! I am so glad you mentioned that it is okay to reach out to brands, because I do that a lot too. I think the worst that could happen is for them to say no, so I just give it a shot. I've been able to collaborate with a few brands by reaching out to them first, which was very rewarding on my end. The gist of the story is, as long as you show genuine interest in the brand and not just after free stuff, I think they would be interested and consider you. You are so genuine and gracious to provide all of your tips to your readers. They are extremely helpful and I really appreciate you sharing your knowledge! Thanks so much, Krista! LOVE this post. It was super helpful, especially the e-mailing brands part. I haven't gotten to that point, I think it's the intense shyness and fear of rejection but your write up actually gave me some courage.